It's usually free for you to connect your house to fibre, with the monthly cost similar to what you already pay. Improving the prosperity and wellbeing of our communities. Northpower Fibre’s ultrafast fibre network reaches about 22,700 homes and premises in Whangarei. By 2022, our network will reach around 33,000 homes and premises across Kaipara and Whangarei. Over the next four years we'll be extending the network even further. As the speed of internet access increases, so does the technology. Northpower Fibre's open access fibre-optic network allows for retail service providers to connect and introduces true competition into the local telecommunications marketplace. Fibre delivers the bandwidth and reliability at a price relative to your current services. It’ll immediately improve your connectivity today and have you geared up for the future. Fibre-optic broadband speed is typically 10-50 times faster than services delivered over copper. That means faster upload and download speeds with crisper, clearer and sharper video calls. Fibre optic is available 99.99% of the time and isn't affected by rain, bad weather or the number of other users on the network. You’ll always be connected to the rest of the world. You can live in beautiful Northland and easily connect for work around the globe - or make it personal and stay in touch with family across New Zealand and overseas. Here are links to the documents relating to the UFB partnership entered into between Northpower Fibre and Crown Fibre Holdings (on behalf of the government). Why is there a need for an ultra-fast fibre broadband network? The government continues to invest heavily in the construction of UFB fibre networks and significantly improved rural broadband through the UFB and RBI initiatives. UFB broadband is providing the biggest boost to New Zealand’s economic development this century – just like electricity did last century. It’s making business activities more efficient, boosting productivity, making communication significantly faster and ensuring New Zealand is truly globally competitive thanks to fast upload and download speeds. Fibre means we’re able to connect back to the rest of the world instantaneously. The ongoing development of applications which require increasingly larger bandwidth means a high-speed fibre connection will be the only way to ensure these user needs can be met. Current high speed communication technologies simply can’t meet these bandwidth requirements. What will fibre mean for me? Fibre’s an affordable and reliable way to communicate with anyone, anywhere, anytime. It provides better access to jobs and freedom to work from wherever you like. Fibre’s giving New Zealanders better access to health and education services, delivered directly to homes, via computer screens. That’s great news for people living away from towns or cities who are in need of health advice or want to take part in remote learning for school or university. Ultimately, it's helping break down social disparities and build a stronger community today and for decades to come. What's wrong with what we already have? Copper’s at the end of its useful life in terms of its ability to cope with today’s communication demands. It’s like a car engine running at maximum speed with no more power to give. Fibre is the turbo boost we need. Fibre and copper networks are fundamentally different, technically and commercially, so it’s a mistake to apply copper thinking to a fibre world. Optical fibre is unique, in that it can carry a high-bandwidth signal enormous distances. Copper can support high bandwidth but only for a few hundred metres. The more customers using copper at one time, the slower the speed of information transfer. 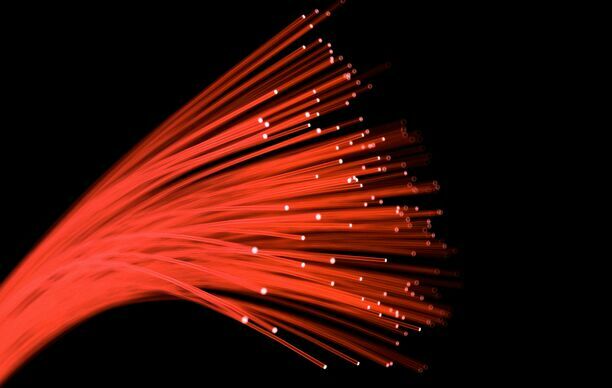 Fibre uses laser light to carry the signal. Under most circumstances, the signal can travel more than 25km without degrading enough to keep it from being received. What’s more, the equipment used to send the light signals keeps getting better - so equipping our fibre network with newer electronics and lasers that pulse light faster, or lasers using different wavelengths of light, means we can vastly increase the available bandwidth without changing the fibre itself. That’s why fibre networks are said to be “future proof”. What will this mean for New Zealand? Fibre has been the single biggest boost to New Zealand’s infrastructure for decades and we will all reap the benefits, just as we've done from roading, electricity and water. Fibre’s strengthening our local and national economy every day as it becomes a connecting foundation of the way we live. We’re building fibre networks for our children, grandchildren and generations beyond. What part will Northpower Fibre play in the delivery of fibre to schools, homes and businesses? We want the people of Whangarei and Kaipara to have access to the same network performance and service on the Northpower Fibre network as they would in Auckland, Wellington, Christchurch - or anywhere in the world. Northpower Fibre sees fibre as the most important global infrastructure of the 21st century and like the Government, we want to ensure Northlanders don’t miss out on what the rest of the world is beginning to benefit from. The Government has chosen Northpower Fibre to build fibre networks in 12 more towns throughout Kaipara and Whangarei between April 2017 and the end of 2021. Find out more on the coverage map. Will the smaller townships be forgotten along the way? By the end of 2024, more than 84% of New Zealanders will have access to UFB fibre. Absolutely – once fibre’s within reach of your doorstep it’s there for anyone to use, anytime. Our fibre network will be designed for open access – that means we welcome anyone and everyone to use it. This will ensure there’ll be pure competition and multiple providers of services like telephone lines, Internet, television channels and more. You’ll be able to use as many, or as few of those services as you choose. An open access network will allow services from multiple retail players, driving competition and innovation because that will benefit our economy and save consumers money. Expected innovation and productivity gains will only be achieved through a vibrant service provider market. Are there different ways fibre can be delivered? Northpower Fibre’s UFB network is built by attaching fibre to our existing poles (overhead) and in ducting (underground). What about other parts of Northland - will you give them fibre? Northpower Fibre will be doing that under the UFB2 initiative. Find out more on the coverage map. Will my fibre internet plan be reasonably priced? Pricing of internet plans are very competitive due to the number of retail service providers offering packages on the Northpower Fibre network. Northpower Fibre doesn't charge for installations under 200 metres for residential property or under 30 metres for businesses. Please check with your RSPs as some do make installations charges. Will I have to re-wire my house and buy new hardware? How much will that cost? Possibly, there are likely to be changes involved to the premise wiring depending on which services you decide to purchase. The cabling work required will be similar to the wiring required – such as a first time Sky TV customer (e.g. Category 5 or 6 Ethernet cabling). However it’s possible to use existing wiring for phone services and there are also wireless options to consider. It’s unclear who will bear the cost – it may be the house owner, but it could also be a service provider, as happens in many cases today. As a Whangarei resident what's in it for me? A fibre optic network has the ability to transform your life by opening up educational, health, business, and lifestyle opportunities. Whangarei is an important part of the New Zealand economy with its diversity of industries. It’s essential we keep pace with the rest of the developed world. Fibre will change the way you live, work and play. What if I'm not in Whangarei? Under the UFB2 initiative, Northpower Fibre will be building new fibre networks in 12 more towns by 2021. Find out more on the coverage map. Why is Fibre to the Door (FTTD) so much better than Fibre to the Cabinet (FTTC)? FTTD is built to last at least 40 years and to be ready in 10 years when copper expires, we must start now. FTTC might get another 10 years out of the copper. FTTC implies DSL technology, which is highly asymmetrical, i.e. download speeds are far higher than upload speeds. With more and more user content being uploaded this will become more and more of an issue. FTTD offers fully symmetrical connections. FTTC gives a variable access speed that depends on how far away you are from the cabinet. FTTD gives a known access speed that doesn't degrade with distance up to the maximum allowed by the standards. Would I object to my tenant connecting to UFB broadband? We couldn’t think of a reason why you wouldn’t agree, however the fibre equipment that needs to be installed internally within your property is reliant on mains power. If you have a monitored property alarm, this needs to be considered and made to work over fibre if there is a mains power outage. There's options available to deal with this including battery backup, or some wiring/technical solutions. Northpower Fibre, in partnership with Northpower and the Crown, is bringing fibre access to Northland.